Today was all about the rain. It was pretty much non stop from Monday evening through to Tuesday night. It was reported that a weeks worth of rain fell in a single day which would explain this new addition of a water feature on Princes St in Edinburgh! 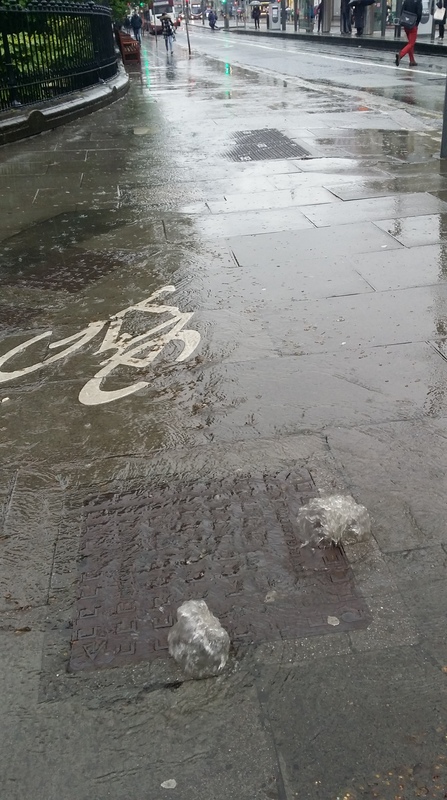 I got soaked on the bike on the way home, the upside was that I pedalled a lot faster and I love the sound of my tyres swishing along the wet tarmac. Another bonus was getting to cycle through a massive puddle! 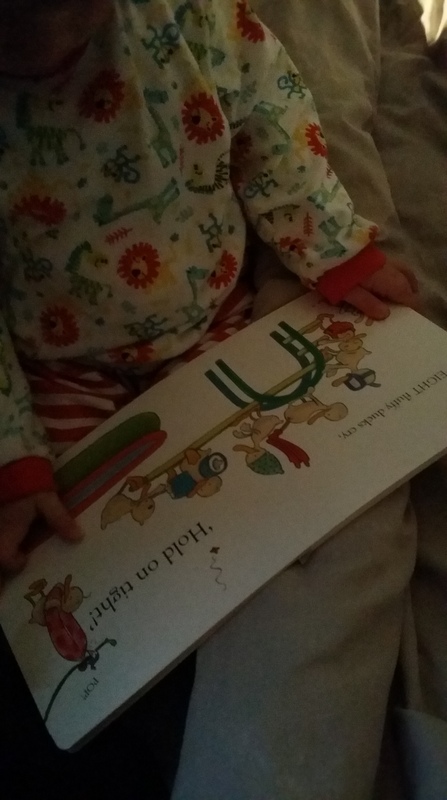 The closest we came to a wild activity was reading the aptly titled ‘Splosh’ for a bedtime story. I’m more of a 6music kind of person so it was good to open my ears to a different genre of music, I thought this was very much in the spirit of #30dayswild – opening ourselves up to new experiences! I’ll leave you with one of my favourite passages featured in the programme from ‘The Cloud Appreciation Society’. Look up, marvel at the ephemeral beauty, and live life with [our] head in the clouds. Many thanks for all the likes and follows on my #30dayswild posts and I hope to share more of the beauty of Fife with you in the coming weeks.